Watching DVD movies at home with home theatre system like DVD player or computer is great fun with family members and friends. However, it will be weird for us to carry a hardware DVD player or a device with DVD drive around if we plan for a long train journey and would like to watch DVD movies on the train. So, Copying DVD to Hard drive is a convenient way to back up your movies or bring them with you while away from home or when you don’t have access to your personal computer or DVD collection. 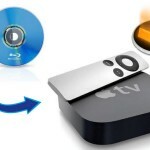 Below content shows you 3 methods about how to Copy DVD to Hard Drive. Learn >> Blu-ray Disc vs DVD vs Digital File. Why Can’t We Copy DVDs to Hard Drive Normally? Almost all DVD movies are encrypted with CSS copy protection. Decryption keys are stored in the normally inaccessible lead-in area of the disc. You’ll usually get an error if you try to copy the contents of an encrypted DVD to a hard drive. However, if you have used a software player to play the movie, it will have authenticated the disc in the drive, allowing you to copy without error, while the encryption keys will not be copied. If you try to play the copied VOB files, the decoder will request the keys from the DVD-ROM drive and you will fail to copy with an error message “Cannot play copy-protected files”. So you need a professional yet free DVD ripper. When we need to Copy DVDs to Hard Drive? When it comes to watching latest movies in theater, we may inevitably miss some our favorite ones. Then we prefer to watch DVDs to make up for this pity. In this case, most people are troubled by finding out the needed DVD in time from a pile of DVDs. On one hand, DVD collection takes so much space that it is difficult store. On the other hand, it needs DVD drive to play DVD videos. If you want to enjoy recent DVDs on tablet, you have to copy DVD to hard drive. Searching through search engine, using key words like DVD Ripper for Windows 10, DVD ripping tool on Windows, DVD copy on Windows 8.1, DVD backup on Windows, DVD duplicate, create copy of DVD, you can find many DVD Ripper/Copier. For example, free DVD ripping software on PC has Handbrake, MakeMKV while closed-course includes Pavtube BDMagic, Pavtube ByteCopy. Here, we strongly recommend Pavtube BDMagic <Pavtube BDMagic for Mac> . Besides, It can handle all the most recent encryption technologies, including region code, Disney copy protection, CSS encryption, Sony ArccOS protection, and it’s updated continuously to handle any new protection schemes. Apart from these features, this DVD to Hard Drive software supports various output formats. You not only convert DVD to MP4, and rip DVD to MKV but also convert DVD to YouTube and DVD to Facebook etc. 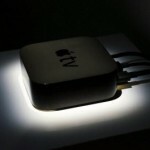 Maybe you are eager to rip DVD to Hard Drive and the following tutorial would help. * 1:1 backup DVD/Blu-ray with original video structure on Windows. * Copy DVD/Blu-ray keeping main title on Windows. 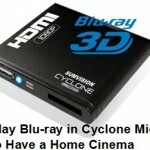 * Rip DVD/Blu-ray to Hard drive in MP4, MOV, M4V with excellent video quality. * Make users choose desired subtitle, forced subtitle, keep multiple subtitles, extract srt subtitle from DVD/Blu-ray movies and to add external subtitle to DVD/Blu-ray movies. * Supports 300+ main stream output devices such as iPhone 7, iPhone SE, iPhone 6s/6s Plus, iPad Air 3, iPad Mini 4, Samsung Galaxy Note 7, Samsung TV and so on. * Enables users to adjust video codec, bitrate, frame rate, size, audio channel, codec, bitrate and display aspect ratio. * Compatible with Windows 2003/XP/Vista/Windows 7/Windows 8/Windows 8.1/Windows 10. Select “Load from disc” from the “File” menu drop-down list to add DVD movies to the program. Click the drop-down list of Subtitles, then all the subtitles info in the DVD will be shown clearly, so you can select your needed language as your subtitles freely. Click Format and choose MP4 video from Common Video, which can be recognized by NAS/iPad/iPhone/Note 7/WDTV well. 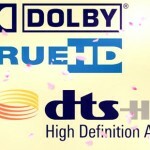 Choose HD MP4 from “HD Video”. And then click the Browse button to specify an output folder to save the converted files. Of course, you can choose other format, like the MKV container. Tip: Click “Settings” icon and you can adjust the video parameter to get the best DVD copy for your mobile phone, tablet, TV, laptop from Hard Drive. Finally, hit the “Convert” button at the bottom of the main interface to start the DVD to Hard Drive conversion. It will automatically convert DVD movies to MP4 for Hard Drive on your computer. If your multimedia player supports VOB format, you can choose to directly copy your DVD movie to Hard Drive on PC. And the steps is sort of same as the method 1. Step 1: Input DVD movies to the app by click “File”. Step 3: Clicking the Convert button on main interface, you can go to conversion window to start to copy DVD movies to VOB. If you choose directly copy DVD to Hard Drive, you won’t adjust the video settings. Actually, if you just want to make a digital copy for DVD for more convenient management and organization, I suggest you to full copy DVD movies to Hard Drive which can preserve all the information in the DVD disc. And the step is simplest comparing with the former methods. Step 1: Insert DVD to DVD drive and launch Pavtube BDMagic on your computer, click “Load Disc” button and directly import source DVD into this app. 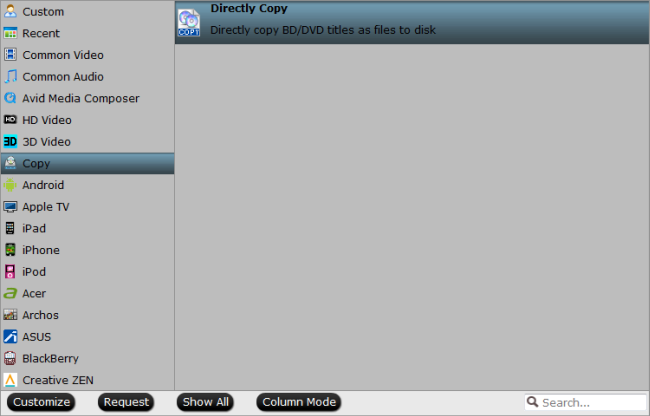 Step 2: To make a quick and full copy of source DVD movie, you can click “copy the entire disc” button in the menu bar. In this way, all contents of the DVD disc will be saved to computer hard drive, including the disc menu, video streams, audio tracks, subtitles, commentary, chapter markers, extras, etc. Each way has its advantages and you should choose the way according to your need. If you want to enjoy your favorite DVD movies to Hard Drive whenever you are at home and on the move, I suggest you the method 1. The first freature we look for in any DVD to Hard Drive ripper application is the ability to decrypt the copy protections found on commercial discs. Pavtube has a built-in decrypter that can bypass encryption such as CSS and region coding. Adjust technical aspects of your video such as resolution, aspect ratio, frame rate and more, this software comes with a video-editing module that allows you to alter the video before you rip it onto your hard drive. This DVD ripper also allows you to perform basic edits on video before you rip them. If you have a move that you just want a certain scene grom, you can use the trim feature to remove the rest of the movie. When you click “Start”, you’ll only rip the scene you want. DVDs are an amazing yet costly investment, which over time can become scratched, damaged and even completely unusable. With a powerful DVD Ripping software, you can quickly copy DVD to computer for backup. You can also rip DVD to 3D videos and common/HD MP4, AVI, MKV, FLV, MOV, VOB, MPEG, WMV, MP3, AC3, M4A, WMA, etc. for portable player (such as iPad, iPhone, Samsung, Surface, Asus, Aver, Google, Amazon, HTC, LG, etc. Android/Apple/Windows tablets and smartphones), gaming systems, projectors, 3D devices, HD TV, media players, media servers, etc. Anyhow, hope this Guide can help you fast choose an easy-to-use and yet professional DVD to Hard Drive ripping tool. Now get the best DVD to Hard Drive Ripper program for You! I hope you’ll well. Thanks for your reading. Find out! Alternatives to Squeeze?